It has become a Rosh HaShanah tradition at the Jewish Magazine for the past few yearto visit our ‘resident’ astrologer and kabbalist, Yaakov Kroinenberg. Yaakov who has been involved in learning and teaching Kabbalah for many many years and studying Astrology has given us such interesting predictions such as civil war breaking out in Gaza and Sharon succumbing only to his own self. Because he has had such a high success rate in his predictions, we were curious to know what he saw in order for this coming year, 5768. Yaakov: It looks like we are going to have a coming year of upheavals in three different spheres: economic, military, and nature. Economics: It appear that a major economic crisis is in store for America. It appears now as if it is just starting with the stock markets dropping. It looks like this may just be the beginning of a very serious economic crisis which will see the American people loosing confidence in the financial markets. Wall Street has had its share of dishonest transactions, packaging and selling products of dubious economic value and sub-prime loan packages. Banks have sold many of these packages to other financial institutions, but no one knows if there is any value in these packages. 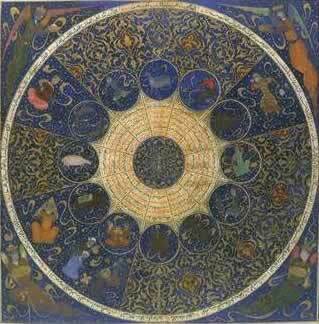 The horoscope chart shows that the fall out from all of these dubious practices are going to come in this year. Pluto is going through the house of money on the American chart. There are four planets in the second house, showing the great importance of money to the American people, the tremendous materialism of the American society. When Pluto passes over these planets then there will be an upheaval of the American economic system. The fallout will have tremendous repercussions in the entire world. When a country looses its economic supremacy, it means a loss of military and political supremacy. The question is if the Americans can do something to save the situation. It will be very difficult for the Americans especially when they begin to see the financial shenanigans that Wall Street has been engaged in. The housing market is just beginning to feel the problems that are coming from those people who have signed up for mortgages without having to pay for two years, which the banks knew clearly that they would not be able to pay back. But the banks based their strategies on a booming housing market - if the borrower could not pay, the banks would take their property at an inflated market price. Unfortunately for the banks, the prices are dipping. Soon the debts will come due and the vast inabilities to pay back will cause havoc in the markets. Israel also will be very affected by the financial situation. This is a global crises although most pain will be felt in America. Still Israel and her markets are influenced by America. Military: For the last two years, Saturn has been in the sign of Leo which means that the rulers are going to fall. That was a major theme in my past horoscope predictions and we have seen major upheavals in governments: Britain and France changed their leaders, Sharon and Castro have left because of illness, the radical Left has taken control of Bolivia, Ecuador, and Venezuela. The Palestinian Authority was overthrown by Hamas. We see countries inside of countries: Hezbollah inside of Lebanon, Hamas inside of Gaza, we see the ultra-Orthodox are developing a limited autonomy inside of Israel; Gaydamak is taking over functions that the Israeli government should supply in S'derot. We will see all over the world small wars starting up by the Islamics in various small countries all around the globe. Where ever they can start one, they will begin to confront the West. This is another aspect that has not yet finished. Israel’s chart shows that Saturn is going into the twelfth house. This means that there are a lot of people planning things against Israel which will probably manifest itself in about two years from now when Saturn crosses the ascendant of the Israeli chart, approximately 2009. Nature: Now that Saturn has left the sign of Leo to go into the sign of Virgo, which rules nature, agriculture, medicine. Saturn signifies problems; it will bring problems in all of these areas. There will probably be problems with droughts, hurricanes, earthquakes. We can look forward to agricultural shortages. Problems with the health system and health care - they are not run correctly and the American Social Security and Medicare programs have a tremendous amount of obligations which they must fulfill and they will have great difficulty fulfilling under the present rules. Looking on the good side, for Israel it seems like the coming year will be a relatively peaceful one. Although Israel will be impacted from the problems from far away as described above, it will not suffer the same degree as other countries. We thank Yaakov for sharing with us his horoscope predictions and insights. We wish him together with his family and everyone a great New Year. for information about having a horoscope custom made for you, write to Yaakov at astrol@netvision.net.il.